Protests in the city of Matagalpa, Nicaragua. Nicaragua continues to experience uncertainty and instability as anti-government protests approach their 3-month mark. Throughout the country, political and civil unrest carries on, violence and looting occur daily, and road barricades isolate entire cities and communities. Over 200,000 people lost employment since April 18 and 6.2 million Nicaraguans are at risk of falling deeper into poverty. Read more about the situation unfolding. Education is the pillar of security and stability for communities experiencing great uncertainty. Access to quality and consistent schooling helps children feel safe and protected. Most students in Project Alianza schools live in extreme poverty and are the first to become literate in their families. Families we serve survive on less than a dollar a day and many rely on the upcoming coffee harvest to put food on their tables and roofs over their heads for the coming year. But the events of the last few months are causing uncertainty around the coffee harvest, and if there will be coffee harvest jobs, placing our communities at risk. Students and teachers continue to attend school despite the challenging circumstances. All other photos from this blog post were taken by Project Alianza staff since April 18. We've always understood the value of education in poor, under-served communities facing many challenges. That’s why we will remain steadfast in supporting and protecting children as they continue their education during this time of political unrest. Providing education to children in greatest need has been and will continue to be our number one priority. Navigating through "tranques" (highway barriers) our staff is belated to see schools open and running. We are happy to share with you that, the work you support continues to be carried out in Nicaragua. 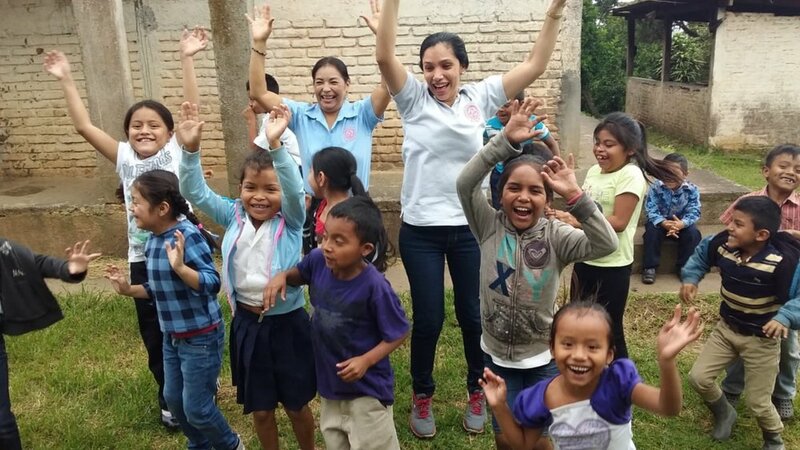 Our ability to adapt to this situation comes down to the core of the Project Alianza model: We build local community alliances by employing Nicaraguans to run our programs, build our schools, and keep our education and scholarship programs active. We partner with coffee farmers invested in community development and mobilize coffee buyers in the U.S. to invest where it will have the greatest impact. Project Alianza schools stay open while other public schools in the region have closed. Please consider making a gift to the children who need our support now more than ever.